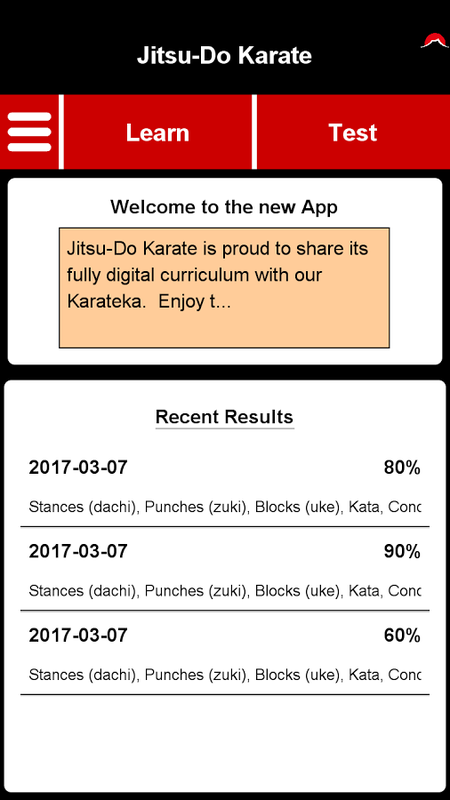 Aspire, Attempt and Achieve with the official digital curriculum of Jitsu-Do Karate. 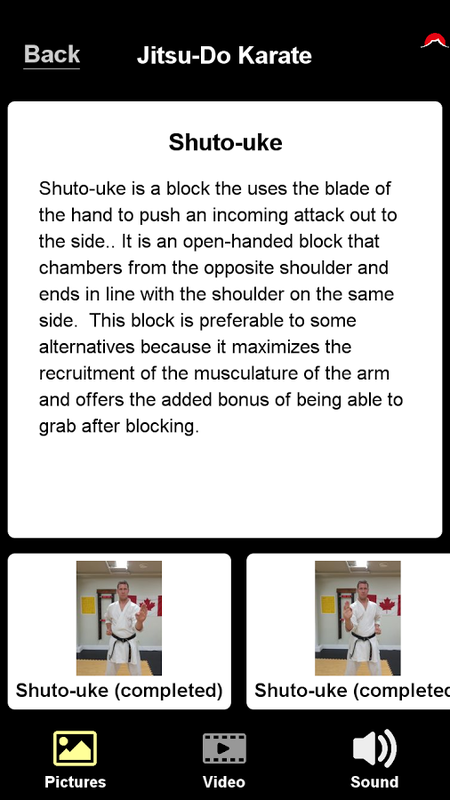 Beginning with the included White Belt material, learn using Video, Audio (for pronunciation of terms), Photos and Descriptions. 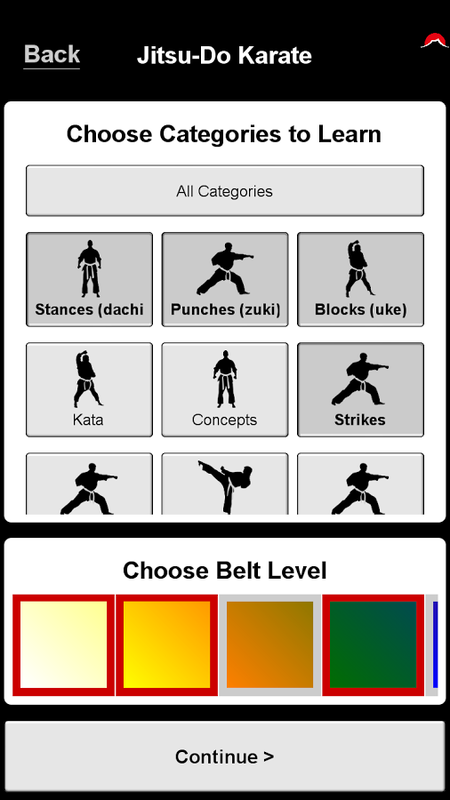 Blocks, strikes, stances, kata and kihon are all at your fingertips. 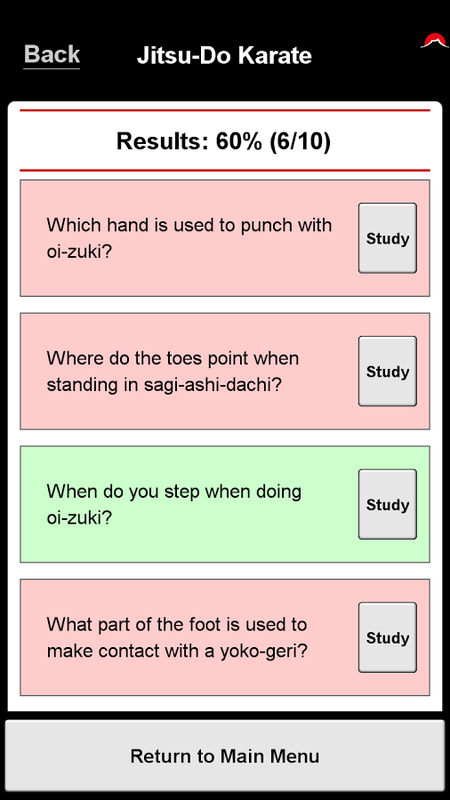 Test yourself with customizable quizzes so you can be ready for your next grading. Quizzes can be customized with material, belt level and number of questions, and your results are tracked so you can measure your improvement over time, and study the material for the questions you need to work on. Keep up to date with announcements, news and events in the Jitsu-Do Karate world.